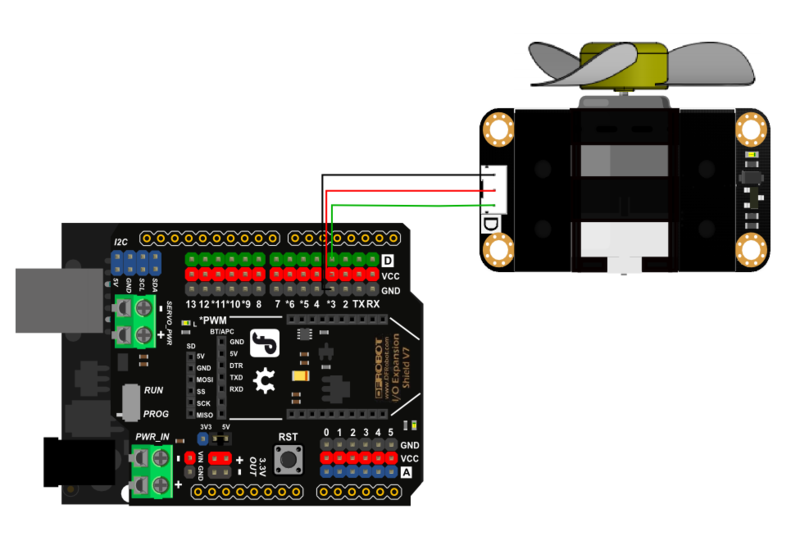 Gravity 130 DC motor is a very interesting module, the module does not need additional motor driver board, you can use Arduino board to drive it easily. And the speed control could be realized with PWM　signal. Very popular with DIY project. We will use Arduino to control module speed. There are no questions about this product yet. If you have any problems or suggestions, you are welcome to email us or post on the DFRobot forum! For any questions/advice/cool ideas to share, please visit the DFRobot Forum. Get it from DFRobot Store or DFRobot Distributor.